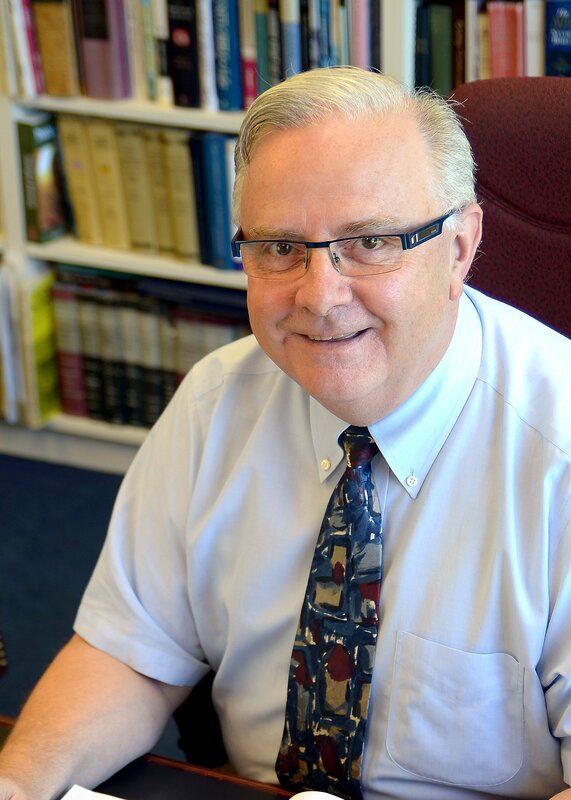 Dr. Harry G. Gardner, the 6th President of Acadia Divinity College and Dean of Theology of Acadia University, to retire on June 30, 2019. Wolfville NS, May 28, 2018 – The Acadia Divinity College (ADC) Board of Trustees today announced that it has launched a search for a new President and Dean of Theology in light of Rev. Dr. Harry G. Gardner’s recent announcement that he will retire at the end of the 2018-2019 academic year. Gardner’s contributions to the College have been significant since his appointment in January 2008. In addition to serving as President of the College and Dean of Theology for Acadia University, he has occupied the Abner J. Langley and Harold L. Mitton Chair of Church Leadership, regularly teaching two courses per academic year. Also during his tenure, new forms of course delivery were established, the curriculum was revised to offer new degree specializations, and two academic centres were launched – all with the goal to prepare graduates to serve in an increasingly diverse and complex environment. Through these developments, Acadia Divinity College has continued to attract internationally renowned faculty and maintain a unique sense of community among students who study on campus and at a distance. To secure an endowment for the new Andrew D. MacRae Centre for Christian Faith and Culture. Gardner’s involvement with the Canadian Baptists of Atlantic Canada as well as his international leadership with the Baptist World Alliance (BWA) and the Association of Theological Schools in the United States and Canada (ATS) have ensured that students and alumni are at the leading edge of theological education. Between 2010 and 2015, Gardner served as one of the twelve BWA Vice-Presidents, and in 2012, he was asked to serve as a member of the ATS Board of Commissioners for a six-year term and as their Chair between 2016 and 2018.
the Executive Minister of the Canadian Baptists of Atlantic Canada. More information will be updated on the College’s website at https://acadiadiv.ca/presidential-search/ as the search progresses for the 7th President of the College. Six leaders have served the College since its inception in 1968. Through their unique gifts and vision, each has added to the ministry and impact of the College on the wider Christian community. Acadia Divinity College is the Faculty of Theology at Acadia University and is the official seminary of the Canadian Baptists of Atlantic Canada. Acadia Divinity College offers theological education at the bachelor’s, master’s, and doctoral levels, equipping men and women for leadership roles in churches, chaplaincies, denominational leadership, university and seminary teaching, cross-cultural mission, para-church leadership, and other areas of ministry. Graduate degrees are approved by the Association of Theological Schools in the United States and Canada. All degrees are awarded by Acadia University. For more information about Acadia Divinity College, visit our website at www.acadiadiv.ca.